Sandy Treadwell has been a reporter for Sports Illustrated and, many years later, New York Secretary of State. In 2010 he and his wife Libby moved from Upstate New York to Ojai, California to be near their Los Angeles-based family. 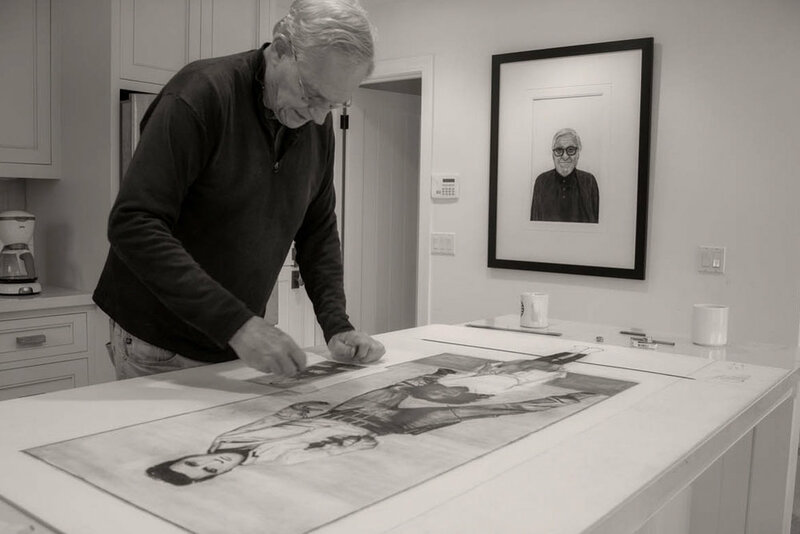 In 2014 Treadwell fulfilled a lifelong interest in portraiture by becoming a student of Ojai artist Dan Schultz. 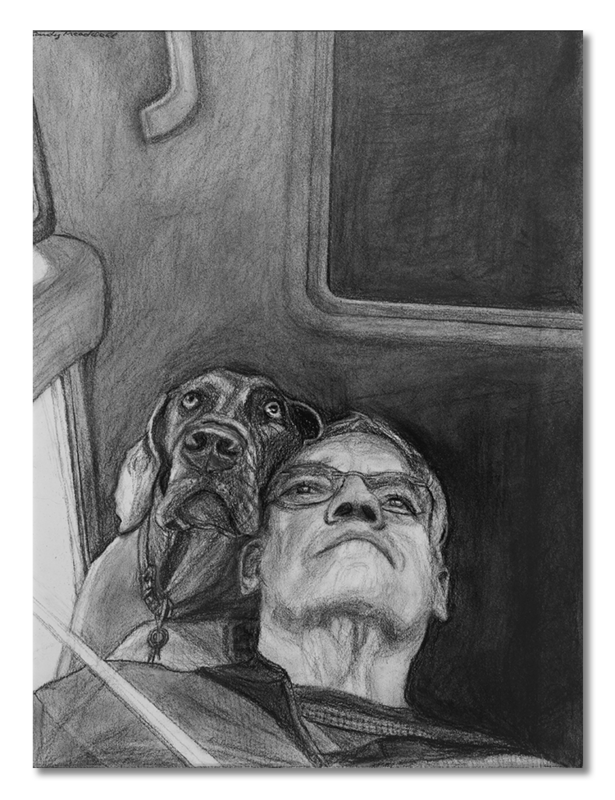 Thanks to a great teacher, he discovered an ability to draw and to capture the essence of a subject. 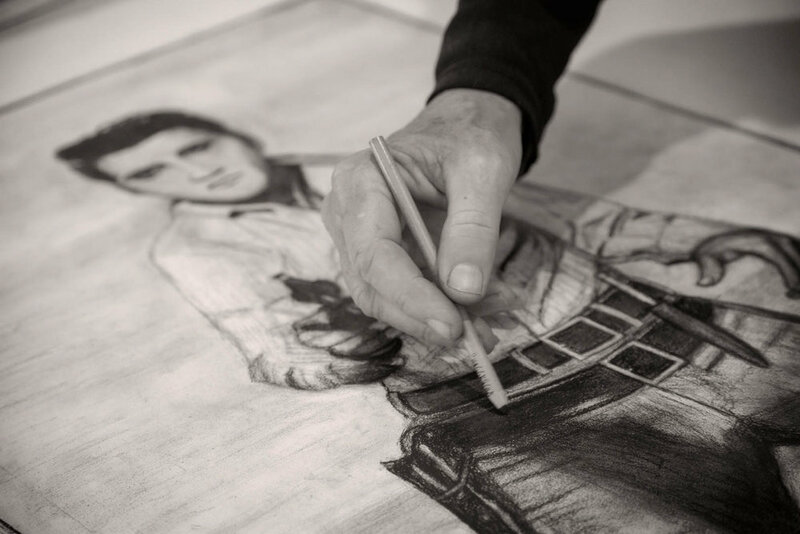 His portraits of people and animals are done in charcoal on paper. The beauty and unusual light of Ojai’s rare east-west valley has always attracted and inspired artists. 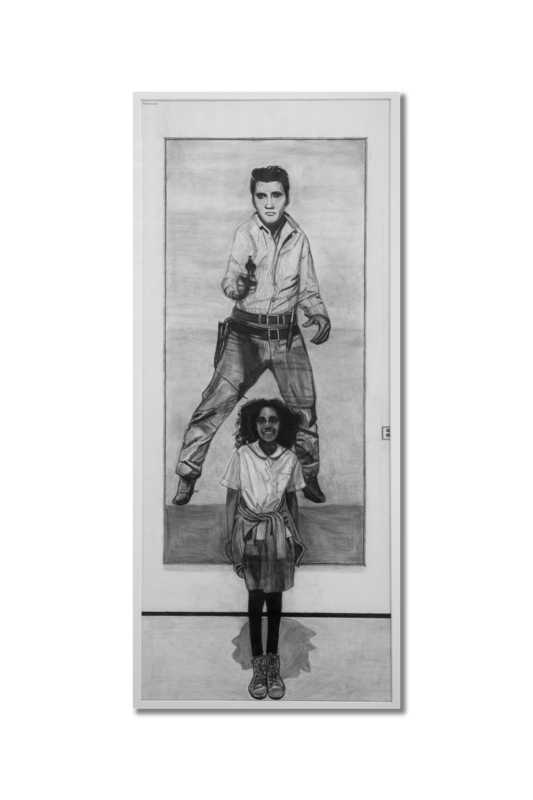 But it is the landscape of the living, captured in dramatic black-and-white, that Treadwell endeavors to depict. 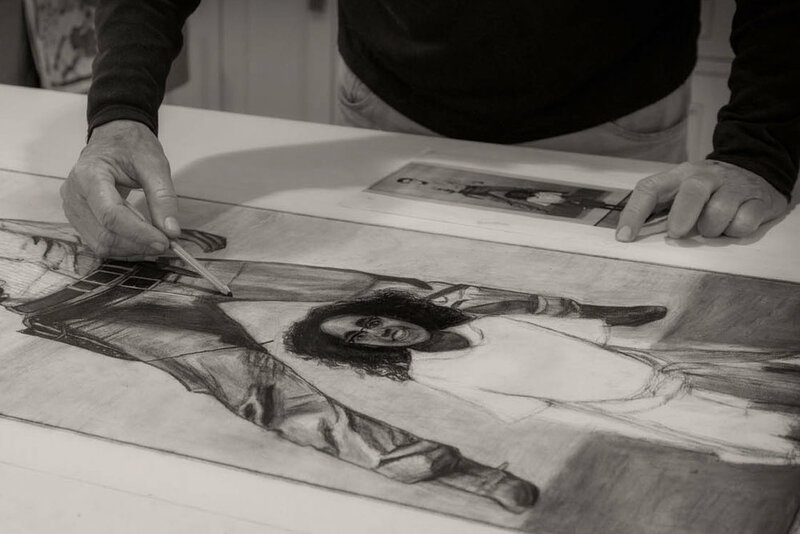 In 2018 Treadwell became a member of Ojai Studio Artists. OSA presents a tour of its artists’ studios every second weekend in October. For more information please visit OSA. Treadwell’s studio is open throughout the year by appointment. To schedule, please contact. 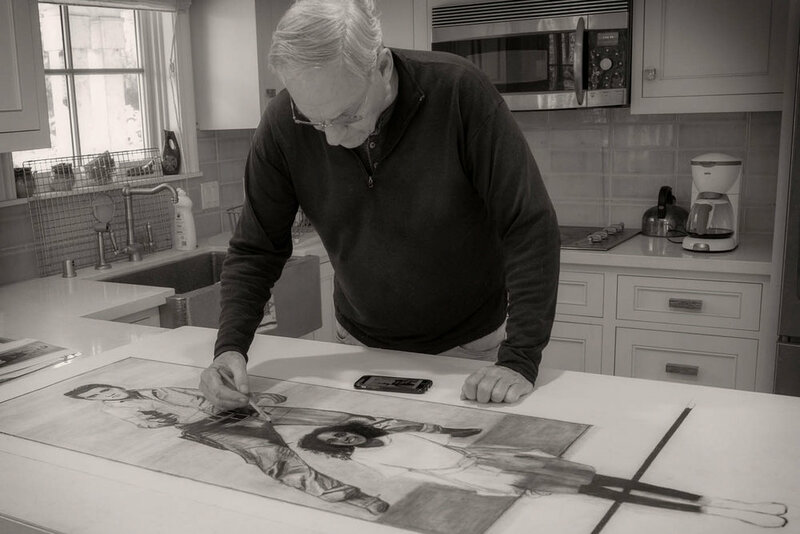 Below: Sandy Treadwell working on “At The Broad”, a portrait of his granddaughter Millie standing before Andy Warhol’s 1963 silkscreen “Single Elvis”.